Yesterday I bought this book at Bolt while out with Super Eggplant. 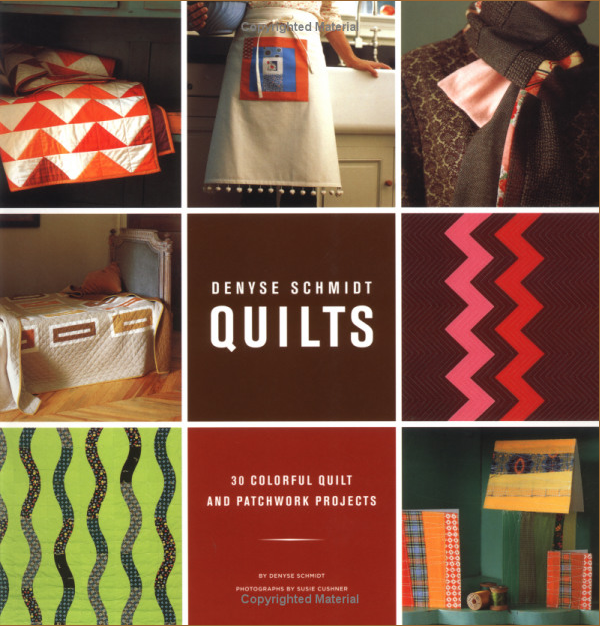 It's got lots of great project ideas that involve simple forms of quilting and sewing. The ideas could also be used with knitting. I know I'll get a lot of use out of this book. In knitting news, I've started swatching the Louisa Harding Kimono Angora yarn for my vest and I also started knitting up a lacy hair tamer from Interweave Knits.